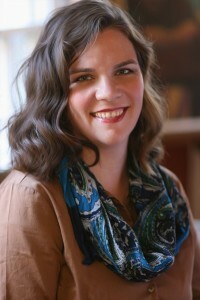 I'm thrilled that Hallee Bridgeman took time from her busy schedule to sit down with me and tell us a bit about herself and her latest release. Pull up a chair and get to know this interesting lady. Linda: Thanks for joining me today. Your most recent book is part of a collection of connected stories. How did that come about and where did you get the inspiration for the plot? Hallee: Thank you for having me! 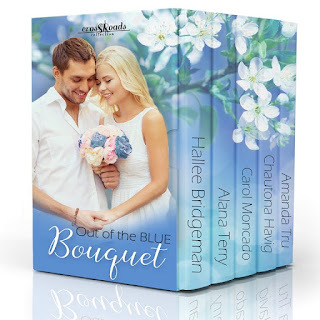 Author Amanda Tru is the brainchild of the Out of the Blue Boxset Collection. She came up with an idea to have several novellas about misdelivered flower deliveries, and then have her book be the last in the collection and have it be about the florist who has all of the delivery issues. That was the only criteria for our books: they had to be Christian romances, take place in November, and be contemporary in setting. Amanda worked around everything else. Hallee: Getting to the end. I struggle with insecurities in the beginning of every book. Can I do it again? Is the story going to be good enough? By the time I get to the end of a book, I know I’ve done it again, and that the story is good enough. Hallee: I had written my book A Carol for Kent who is a prosecutor in the city of Richmond, Virginia. In talking to an attorney friend about the book, I found out that prosecutors don’t go to crime scenes. My entire book needed her to be at crime scenes, and I was very frustrated with trying to figure out how to put her there without it feeling like a convenient coincidence. I talked to another attorney friend and another, and they all backed what my original friend said – prosecutors don’t go to the crime scenes. I finally went to Richmond, Virginia, and spent the morning interviewing the woman who does my character’s job. She told me that Richmond is different from other cities in that she gets called to the crime scene as the police are called, and she’s on the ground floor of all of the investigations. PERFECT! I was able to go home and finish the book with confidence. Hallee: I write every day that my kids are in school. After I drop them at school, I walk my two dogs for two miles and use that time to pray, listen to my Bible, or think about my current book. When I get home, I sit at my desk and pray again, asking God to work through me and speak through my fingers on the typewriter. I listen to classical music when I write. It’s the least distracting, and drowns out the sounds from the neighborhood. LM: As an Army brat, you probably traveled to countless locations. Now, you live in central Kentucky, a beautiful area of the country. If money were no object, what is your idea of the ultimate vacation? Hallee: My husband and I are travelers – we often talk about retirement being a motor home and the open road. Both of us dream of a long stretch of vacation in the British Isles. I would also love to visit Israel during the Passover. Hallee: I flew to Dubai, United Arab Emirates, alone. I was meeting my husband, who’d been in Afghanistan for a couple of years. He was waiting for me on the other side of customs, but I had to go through customs, entering a Muslim country, as a white woman traveling alone. I’d taken off my cross necklace and had a hijab (head covering) in my bag in case I encountered any issues. A couple of months later, I did the same thing – but flew into Kuwait instead. It was a little less nerve wracking, because it was the 20th anniversary of the American’s liberation of Kuwait during the first Gulf War (my husband was part of the front wave of that liberation), so it was cool that I got to be there for that. Hallee: I just released a book last week that takes place during the Winter Olympics. My character is a hockey player for Team USA. Now, I’m starting the next book in my Dixon Brothers Series – Book 1 is Courting Calla – the book about the misdelivered flowers. This book is Valerie’s Verdict – the story of Brad Dixon and Valerie, the woman he’s loved since they were children.